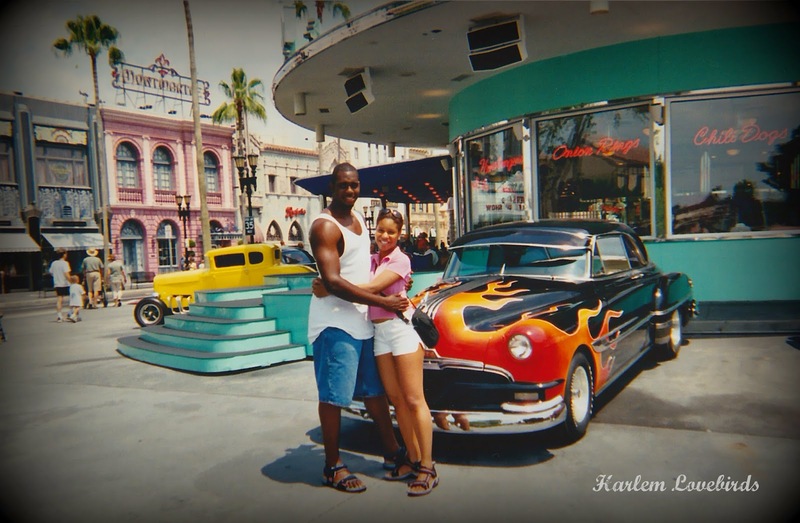 Harlem Lovebirds: Lovebirds' First Family Cruise: A Walt Disney World Surprise! Lovebirds' First Family Cruise: A Walt Disney World Surprise! Only return to Disney World when we had kids AND when all of our kids were old enough to remember it. Well, we're now eating our words x2 (all of my ill-formed thoughts on cruising with kids are here). Our cruise was booked out of desperation just a couple months ago in the depths of snow and freezing temperatures, and I guess it kinda counts as last minute especially as we've been seeing most folks on our roll call booked a year ago. A few weeks ago Mr. Lovebird was talking to an associate about our cruise and he suggested we hop on over to Disney World. He shared his kids' experience going to Disney at a young age and how it was magical for that dad to see his kids' reaction. I guess it was "priceless." Mr. Lovebird was sold . . . then he went to work convincing me! His original plan was to surprise both me and Nia by taking us there when we first dock in Florida en route to the Bahamas, but knowing how Type A I am he knew that wouldn't fly, so he went ahead and spilled the beans to just me. I cautiously got on board. Now the fun part is surprising Nia! Originally we were going to get a rental car but just realized a few days ago that it's also a cruise excursion and for the extra money it's worth it as we can get more time in the park and not worry about the transportation hassle if something goes wrong (remember the moped mishap on our last cruise???). Going in a rental car would've made it easier to surprise Nia as I just planned to dress her in an Ariel shirt for the day (her favorite Disney princess) and just show up there allowing her to figure it out once she beholds Disney in all its glory. Since we're now going on an official cruise ship excursion I'm thinking she'll probably figure it out just from the surrounding passengers, but I was thinking of putting a sign around her neck that says, "I don't know I'm going to Disney World. Please don't spill the beans!" Is that unreasonable? Mr. Lovebird thinks it's a pointless pursuit since during the 1 hour ride other kids (some who may not be able to read either) will be talking incessantly about Disney. I can try, right? Oh and for this trip I did get the digital version The Unofficial Guide to Walt Disney World with Kids for a quick read. I plan to babywear Grayson in our Boba, also rent a double stroller, focus on princess-centric rides and switch off with Uka for riding with Nia. Pretty much every special restaurant experience is sold out which is fine as we'll definitely be back another time, but I'm interested in finding some of the best fast grab and go places - any suggestions?